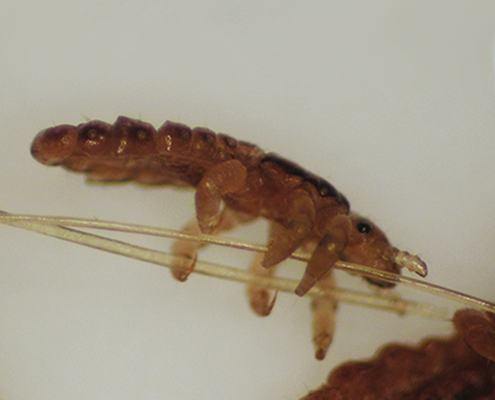 Between 6 and 12 million children are infested with head lice in the US each year according to the FDA. 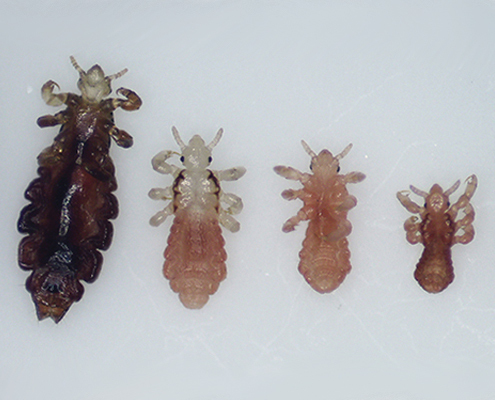 Very often parents contract head lice from their children. Look at the hair strands about a quarter inch (~0.5 cm) off the scalp. 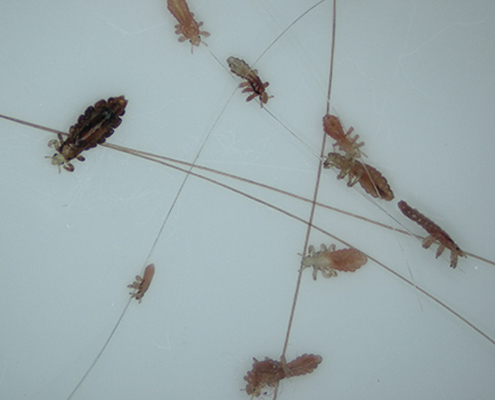 See if you can find lice eggs (often called nits) attached to individual hairs. 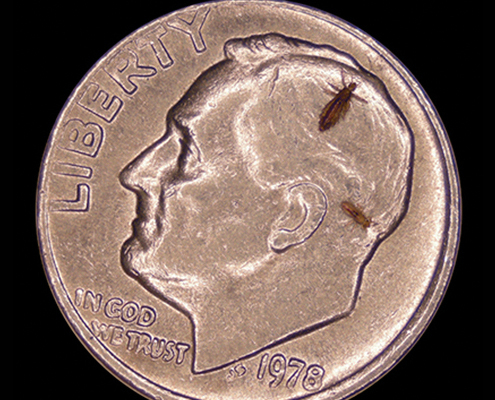 Nits are extremely small. They look like tiny specks and will be glued pretty securely to the hair. If you see any, try flicking them off with your fingers. If you can’t easily flick them off, they are probably eggs and not dandruff. If they are removed from their food source – say from getting knocked out of your hair with a brush or your hand – they can survive less than 24 hours. If they don’t find some human hair to crawl back to a new host during that time, they will die. Machine wash and dry clothing, bed linens, and other items that the infested person wore or used during the 2 days before treatment using the hot water (130°F) laundry cycle and the high heat drying cycle. Clothing and items that are not washable can be dry–cleaned OR sealed in a plastic bag and stored for 22-48 hours. Vacuum the floor and furniture, particularly where the infested person sat or lay. However, the risk of getting infested by a louse that has fallen onto a rug or carpet or furniture is very small. 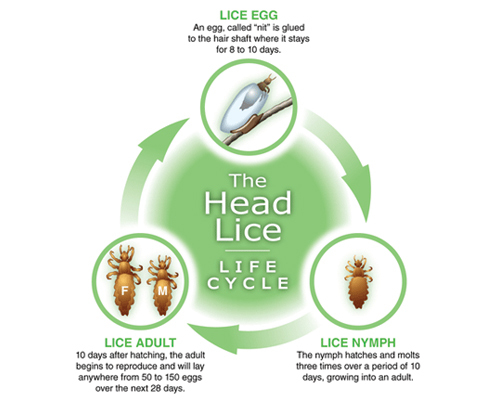 Head lice survive less than a day if they fall off a person and cannot feed; nits will not hatch off of the human head because they need the constant heat and humidity of the human scalp to survive. Spending much time and money on housecleaning activities is not necessary to avoid re-infestation by lice or nits that may have fallen off the head or crawled onto furniture or clothing.